Online Registration has closed. Limited space is still available! Please call 713-681-8433 for more information. This is a beginner’s class for the fun hobby of geocaching. 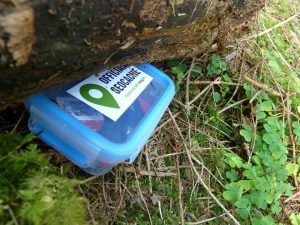 We’ll learn the basic terminology and how to use a GPS in a short introduction, and then set out to look for geocaches around the Arboretum. If you want to get a head start, set up a profile at www.geocaching.com before the class! Notes: Wear walking shoes and dress for the weather.